This single-point solution gives customer services reps superior ease of access and a wide breadth of information. Where are my services? Symphony supports geo-mapping to help you visualize data from various elements in the database. 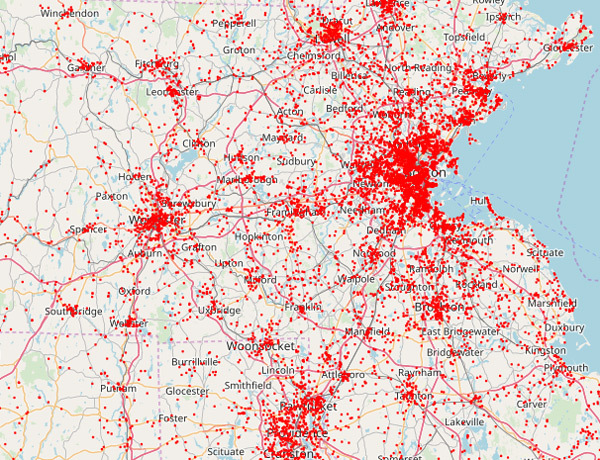 This dot-density map, derived from a sample Symphony database, shows the density of customer service addresses, with many dots indicating a high concentration of service addresses and fewer dots indicate lower concentrations. It is an engaging and enabling tool for a quick identification of your customer base service locations. The Symphony Billing and Customer Relationship Management (CRM) solution provides a single point of reference for the billing of all products and services for any given customer. It provides easy access to the history of all inbound and outbound communication, and gives customer service representatives the tools to find information and answer questions about their customers’ service, rates, discounts and more. This flexible platform enables users of any customer care and billing application to perform their everyday tasks with ease, speed and confidence. This system can become an integral part of any CC&B application, enhancing its value and utility without the expense and effort of replacing the whole OSS platform. With its superior flexibility, it will grow with you as your needs change and as you deploy new service plans. 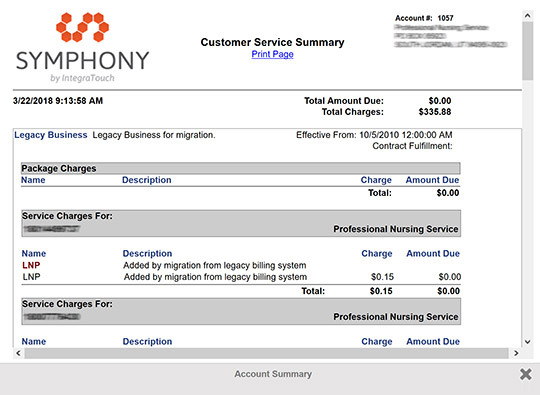 Integrated billing system makes invoicing simple and efficient. 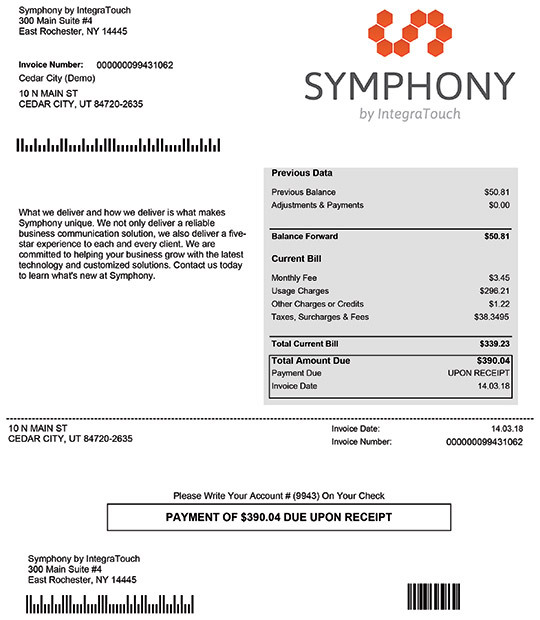 What makes Symphony Billing & CRM different?